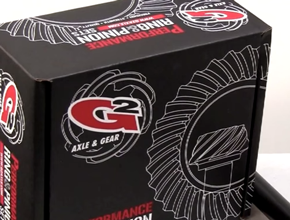 Stay tuned as we update this page with the latest G2 Gear & Axle products for the coming year. Constructed from 1/4” thick main components and 1/8” thick reinforcement plates, this truss design provides critical strengthening across the whole axle, not just the long tube in a lightweight package. All components are laser cut to precise specifications to ensure a perfect fit for easy installation. Welding is required, including to the cast center section. Professional welding skills are strongly recommended. 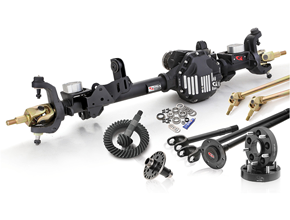 The G2 heavy duty JK Rubicon Front Dana 44 axle truss and armor system includes lower control arm skids, inner “C” gussets, reinforced stock height track bar bracket and main axle truss assembly. 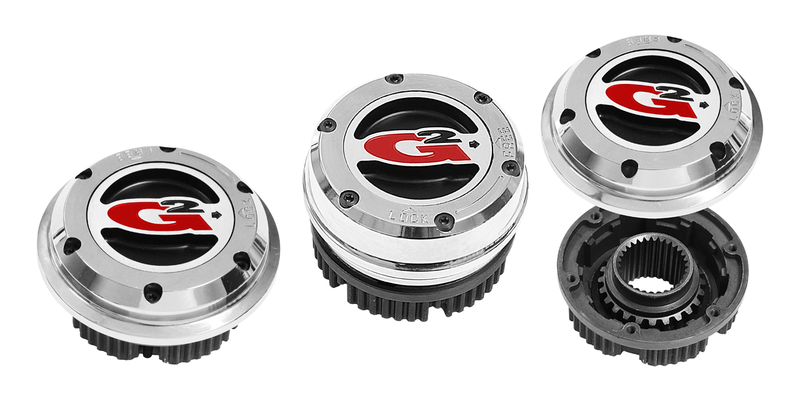 The G2 Core Locker utilizes the reliability of a shift fork mechanism, coupled to a pneumatic actuator built into a heavy duty aluminum differential cover for unparalled reliability and ease of service. 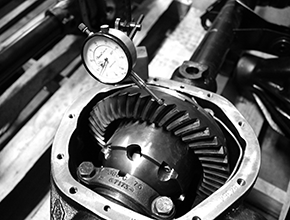 The heavy duty locking differential is designed to handle the added stress of a fully locked differential. The Core Locker’s one-piece cast iron main body and forged steel cover plate offers greater strength than traditional two-piece bodies. It also features a two-piece main body assembly using existing ring gear bolts (instead of tiny fasteners); a three- piece cross pin assembly (in place of single piece cross shaft); and a four-axis laser cut selector cage (instead of rods). Pneumatically controlled, this system allows a rigid system for on-road handling. 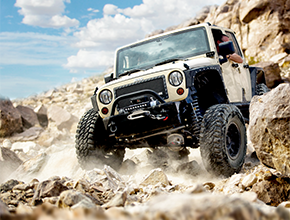 It also allows full flex for off-road conditions while still providing some anti-roll elements of a sway bar. The sway bar can engage/ disengage on the fly – at the flick of a switch from inside your vehicle. The machined 5/8” steel “Second Stage” sway bar offers the unique safety feature of having some element of sway bar operation when disconnected, while the spring-loaded default switches to the ‘engaged’ position for ultimate failsafe security. 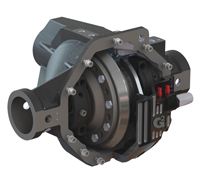 The Core DRS features a hub and gear assembly which provides unparalleled strength in the disconnect mechanism. It couples to existing locker compressors using identical fittings and plumbing. Spline shafts with locking rings allows for serviceability and repair on the trail. The system will also accommodate manual disconnect end links for 100% disengagement.